Author of the book : ARRANGE MARRIAGE SANS LOVE?? Summary : It says in love marriage people jump in the well by their own consent, but in arrange family kicks them in the well !! what happens when a feminist and a male chauvinist meets?? will their marriage work?? 1) When did you first,without hesitation,call yourself a writer? 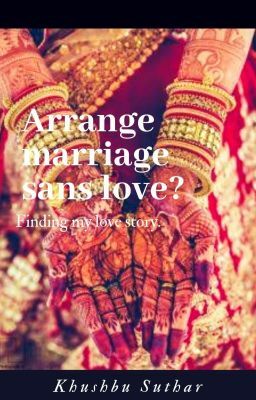 After I completed my first book arranged marriage sans love got completed and it got good response then I was sure yes I can call myself atleast a writer not a good one maybe but atleast got something in me! 2) Who or what inspired you into writing? 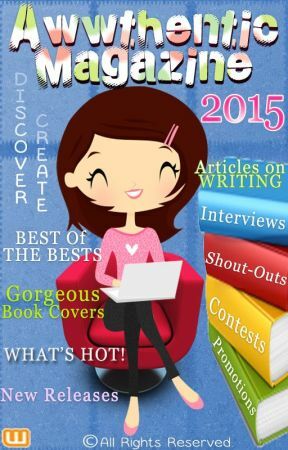 All the awesome writers inspired me to write. 3 )Tell us about your book"Arrange marriage Sans love&apos;. I think when I wrote the character of Akira I somewhere related it to myself a feminist kind of girl who always get betrayed by luck when it comes to relationships and why me isn&apos;t it the story of most of the girls who don&apos;t get a person who understands her dream.And yes somewhere it&apos;s notion in young people like us that arranged marriages are sans love whereas its we who have to find love in it and take efforts.And the idea of the book was all inspired by many many romcoms I have seen,hence it&apos;s totally clinché! 4) "Marriage are made in heaven but performed on earth. "What do you have to say about this phrase? I totally agree on this,Sometimes I feel astonished that two strangers coming from totally different worlds click so well and arranged marriage or love it&apos;s all on our destiny. 5) Do you believe in love marriage or arrange marriage and why? 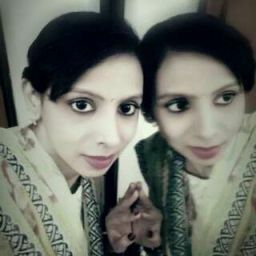 I believe in arranged marriage.I really find it different that how two strangers meet through this process and rest of their life it&apos;s like they are meant to be.And there are many advantages of this process for eg.You can flirt with your parent&apos;s consent and your parents will be like "aww how sweet! "And yes on the other hand it&apos;s risky too as you don&apos;t know how the person comes out after marriage because it&apos;s hard to judge anybody totally in first meeting.So it&apos;s a whole package with love,risk,suspense. 6) Can you tell us about two main characters? Akira is an independent and big time feminist who thinks women are no less and Rahul is an awesome arrogant guy who we see in our romantic novels who&apos;s pride is shaken when her fiancé elopes and now he have to adjust with her sister.And when two strong headed people meet sparks will definately happen though at the end one have to have back down but in a way that his or her point is proven and don&apos;t have to loose his or her dignity too. 7) Describe your writing style in ten words or less. I can describe it in one word spontaneous,I don&apos;t really think much or analyse I write what I feel and Imagine myself in the place of my characters. 8) What does your family think of your writing? Tremendous support from not only my family but my friends too.They are my best critics. 9) Do you hear from your readers much?What kinds of things do they say? I feel lucky actually because I know I am not really a very good writer as such but they encourage me so much and it really feels good when people you don&apos;t know appreciate you ideas so much.I remember when one person told me that I have improved with every book that was really like wow feeling that there are people who are interested in my work. 10) How many books did you write before this one? On wattpad I have written just two poems breakup from life and crush:side effects of hormones and this was my first book. 11) Is there a message in your novel that you want readers to grasp? Yes, just be patient for love and with your love too.Love can be late ,in wrong circumstances but you will get your mr.right. 12) Your message to your readers /followers. And yes thank you for tolerating my bad grammar,wrong sentence formation and sometimes weird chatters too!